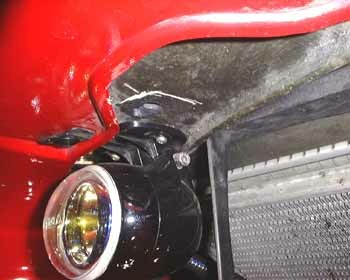 The toughest part of installing fog lights is getting the switch wire through the firewall. I was able to get mine through at the hood opening cable (just follow the cable from the lever under the dash to the firewall. 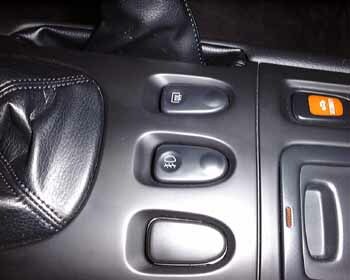 You can simplify the wiring by installing a Daytime Running Light controller and skip the cockpit mounted switch. I mounted the lights by drilling two small holes and using small self tapping screws (see photo below). I bought the stock fog light switch from the dealer for $70 so it would look factory. You have to tap into a switched power source at the fuse box. Most auto parts stores sell little metal adapters that go on the fuses to allow you to tap into the fuse box. Run your powered wire (and in-line fuse) from the fuse box to the fog light switch and run a wire from the other switch terminal through the firewall to the fog light relay. This wire is the control wire that tells the relay to power the lights. You have to use a relay because the fog lights pull too much amperage to use a straight on/off switch. The relay has three connections: control, ground, and power. When the relay gets power to the control terminal it sends voltage to the power terminal. 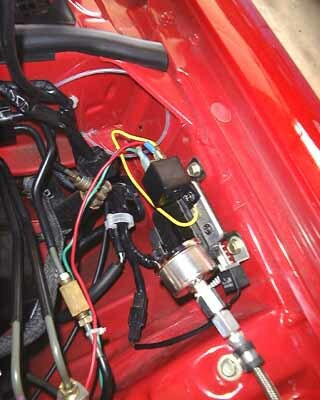 The fog light switch wire connects to the control terminal, ground the ground terminal (see photo), and connect both fog lights to the power terminal. Finally you have to ground the fog lights. Want to turn your fog lights into daytime running lights? Bonus-you don't have to run wires to a cockpit switch. See the Daytime Running Lights how-to.